Description : Called Pike in Hawaii, Sambac is the plant used to flavor the jasmine tea and making perfumes. 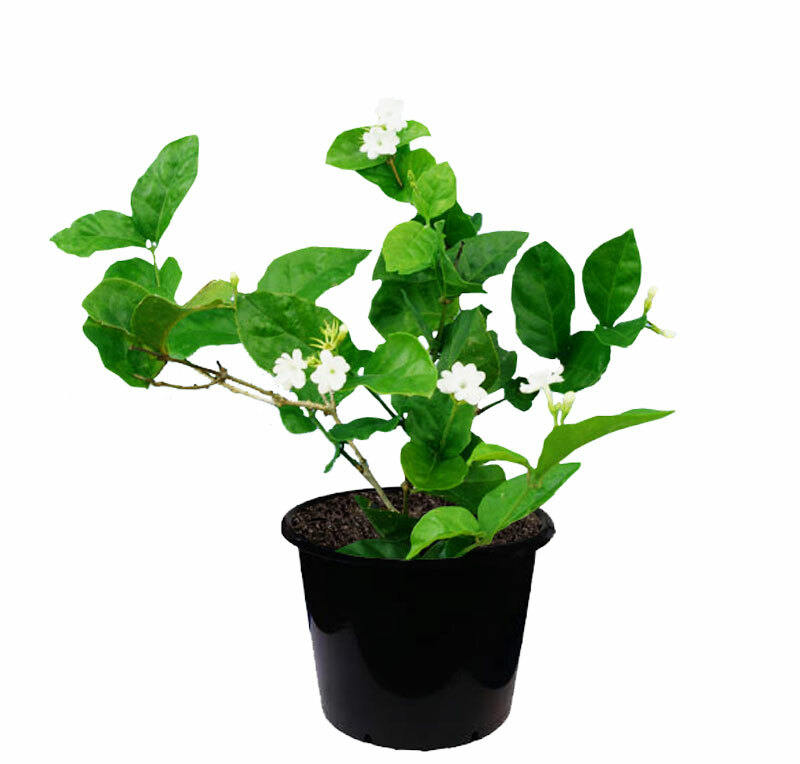 Perfect houseplant, takes both sun or shade, Jasminum Sambac is a beautiful fragrant ever bloomer for your home and garden. Grand Duke is a slow grower and grows as a bush. It has the biggest of all sambacs tipple cauliflower ed (camellia-like shaped) fragrant flowers. Excellent foliage of deep green ruffled leaves on strong rigidly erect canes; easily produces its typically solitary flower if provided richly fertilized warm soil, bright light and even levels of humidity. It has bushy growth habit; trim regularly to avoid legginess. Avoid chill to prevent flower bud drop. This variety is relatively shade tolerant, slow growing and compact, thus is good for potting and indoor culture.